And she would know. 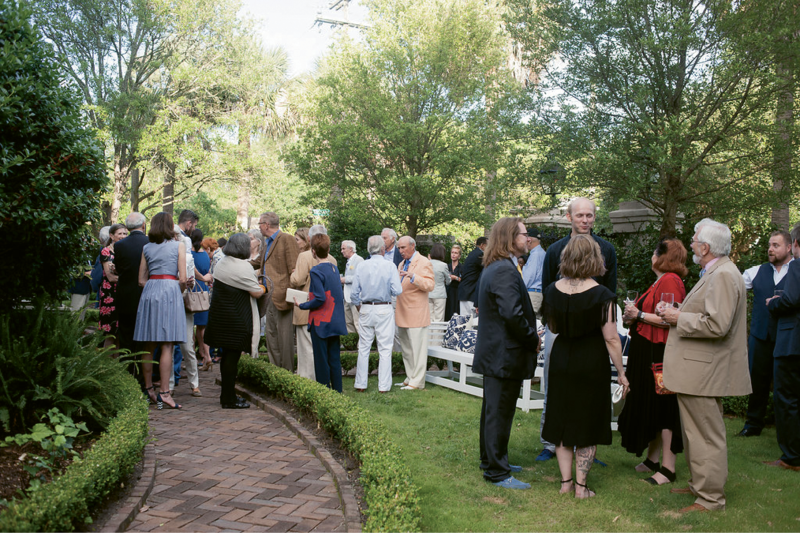 This Mississippi-born, Missouri-bred fashion icon, née Carolyne Jane Smith (who went by her middle name, and thus was Jane Smith for the first two-plus decades of her life), has reinvented herself time and again, most recently as a Charleston homeowner and part-time resident. The city fuels her passion for all things aesthetically pleasing, and she has created a home here that reflects her refined sensibilities and unrestrained indulgence for whimsy and wow. Indeed the stately Corinthian columns fronting her Tradd Street home mimic her own perfect posture, and the grand flying staircase is the architectural embodiment of her sense of drama and grace. 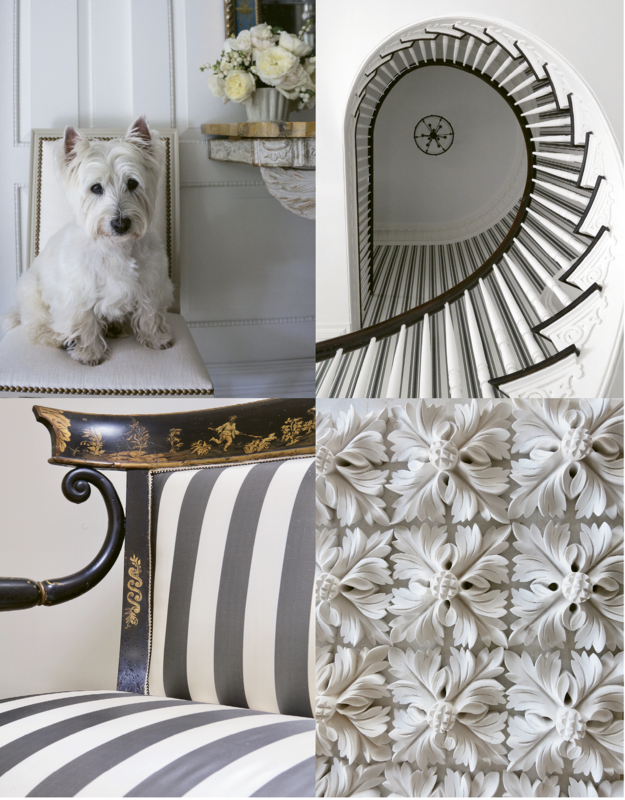 For many women of a certain age who may have a favorite Carolyne Roehm dress in their closets or one of her design books on a coffee table, Roehm’s name is synonymous with classic elegance. But she’s also a bit of an enigma, a shapeshifter, whose resilience honed from years in the cut-throat fashion industry remains as unrelenting as her compulsion to create and share beauty. 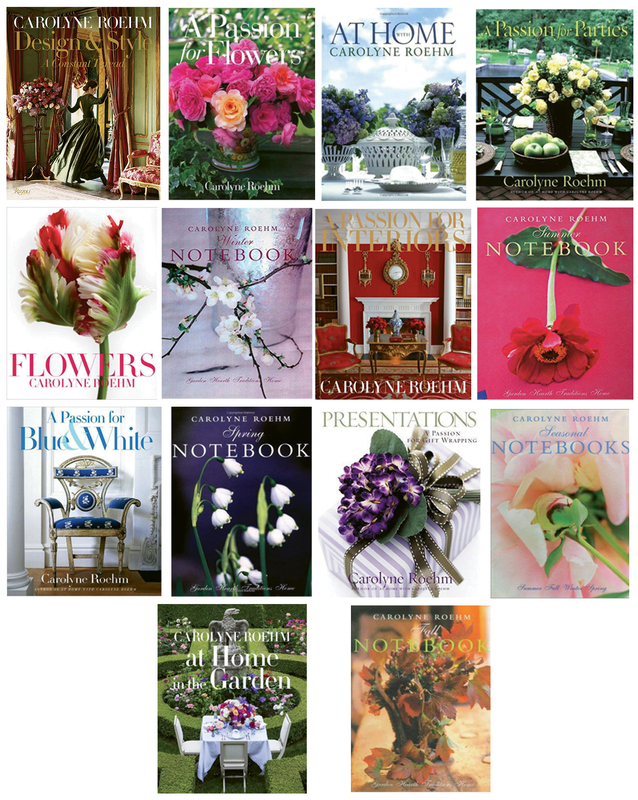 In more recent years, she has accomplished this as the author of a dozen books, including her lavish 2018 coffee table tome, Design & Style: A Constant Thread (Rizzoli), which is part retrospective of a full and varied career and part peek behind the velvet curtain of a gifted artistic mind. That varied career includes being a stylist, fashion designer, model, brand founder, business owner, couture queen, catalog entrepreneur, socialite, philanthropist, consummate hostess, and yes, to some, “trophy wife.” At least that’s what William Safire dubbed Roehm in his 1994 New York Times “On Language” column defining the term. However, Roehm, who at the time was married to billionaire businessman Henry Kravis and graced Fortune’s cover as the prototypical “trophy wife,” set him straight: “Women considered trophy wives are accomplished and ambitious, in both their careers and their lives. They have some looks, but are neither glamorous nor stupid enough to be called a ‘bimbo’; they attract husbands who... want more than a pretty face,” she said. Back to that varied career, there’s also gardener, floral designer, interior designer, antiques and art collector, photographer, and painter. For all her accomplishments and ambitions, all those Town & Country magazine covers and glossy Vogue spreads, all those “different people” or at least different career iterations, Roehm is at heart one steady being: a Midwestern girl with enough sass, smarts, and sensibility to make it big but remain grounded. Sure she has the magnetic eyes and lithe silhouette of Holly Golightly, but one would be mistaken to attribute her Madison Avenue success to feminine physique/mystique alone. 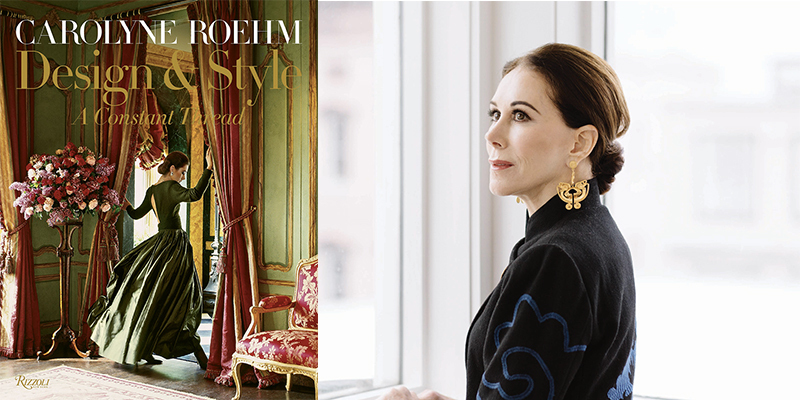 Undergirding Roehm’s elegance and runway-ready poise is an indomitable creative drive. In 1969, as a new Washington University graduate, 23-year-old Jane Smith moved to New York City with five suitcases, $600, and a long-shot dream of working for Oscar de la Renta. 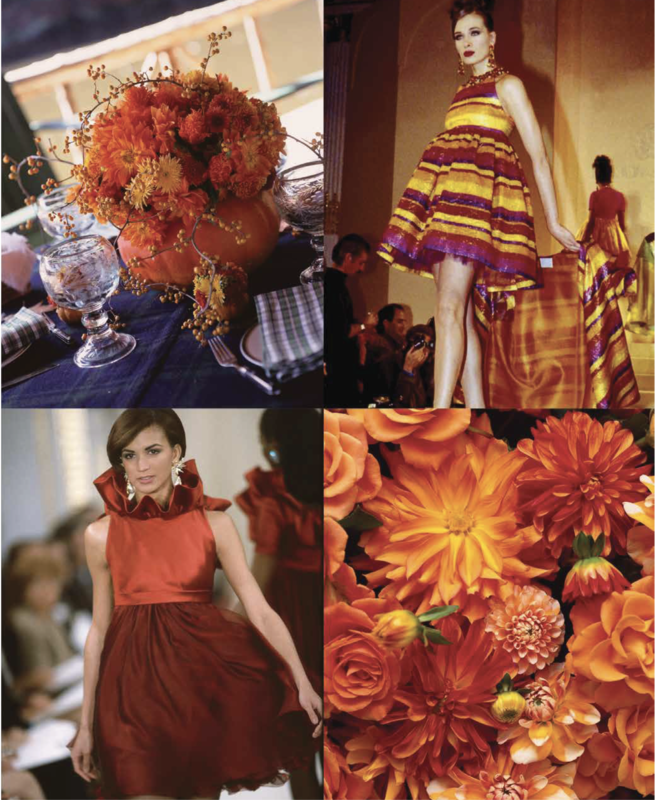 She loved his designs’ “matchless femininity, the way he blends the exotic and elegant,” Roehm writes in Design & Style. Eventually Roehm more or less willed herself into becoming the renowned designer’s trusted assistant, muse, and close friend. 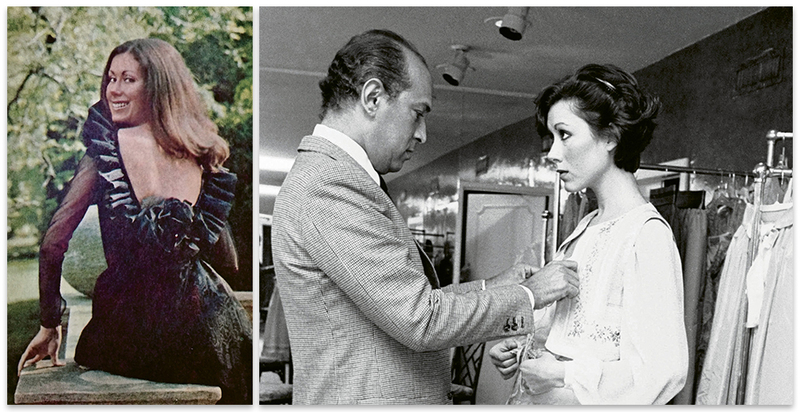 “Oscar shared my love of clothes, food, gardens, fabrics, horses, dogs, and music,” she continues in the book. And he recognized and valued Roehm’s “uncanny ability to understand the relationship between a woman and what she wears.” For Roehm, beauty and quality are essential, but “purpose and function drive design,” she believes, and giving women confidence in their clothing is her secret ingredient, the power of design. During her time at de la Renta’s side, Roehm traveled the world and hobnobbed with the rich and well-dressed: Diana Vreeland, Brooke Astor, and the Kissingers, among others. “It was glamorous to be sure, but for me, being in New York was all about the work,” says Roehm, who set a goal to start her own fashion business by age 35. After nearly a decade with de la Renta, minus a year abroad during her brief marriage to German businessman Axel Roehm, the designer decided it was time to strike out on her own. “Or risk becoming the world’s oldest assistant,” says Roehm, who was then in her early 30s. Before her first marriage, she upgraded her girl-next-door plain “Jane” to her more sophisticated sounding first name—with that exotic flourish of a Y—and has been known as Carolyne since. Model Designer: Roehm credits her mentor and friend Oscar de la Renta (shown above right fitting his clothes on her) for refining her instincts for form and how clothes can set a mood and attitude. For a decade, Roehm turned out collection after collection of styles that “made women feel confident, desirable, and elegant,” she says. Nancy Reagan, Mary Tyler Moore, and Aretha Franklin were among Roehm’s devotees. In May of 1991, she received the Pratt Institute President’s Medal recognizing her achievements in American fashion, an award inscribed with a fitting mantra: “Be true to your work and your work will be true.” Two months later, she and Kravis were devastated by the death of his eldest son (her stepson), who was killed in a car accident. Later that year, still reeling from the tragedy and the deep grief and depression that ensued, Roehm shuttered the business she had started from scratch and built into a $9-million-a-year-enterprise. 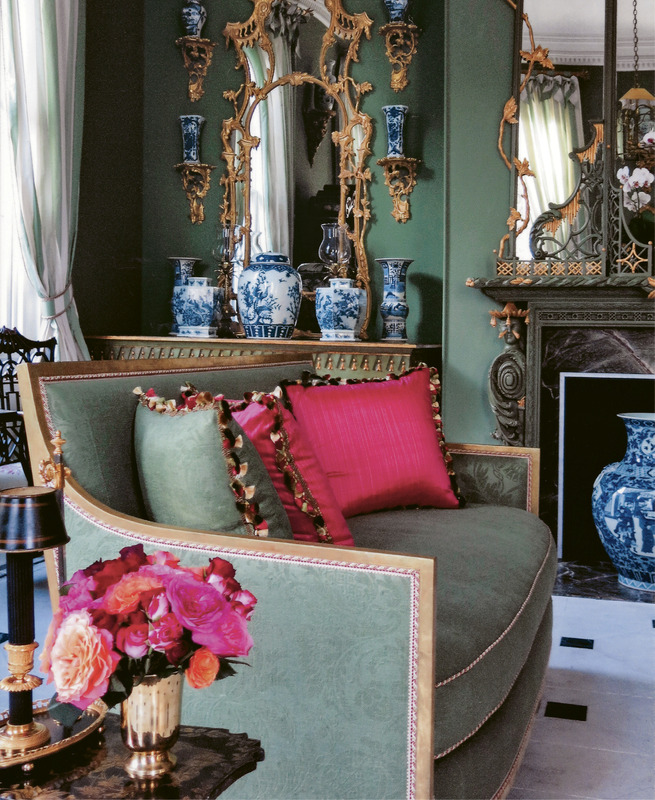 Sitting in the whimsical parlor, aka “Bird Room,” of her Tradd Street home, Roehm reflects more than 20 years later on those wild-winged days when she was managing a career, a marriage, seven houses, and a grueling A-list social and philanthropic calendar. “It was nuts,” she acknowledges. Even so, in the years since closing her fashion house and a failed catalog business and her eventual divorce from Kravis, Roehm hasn’t so much slowed down as recalibrated, redirected. The Artist’s Way: Roehm’s compulsion to create finds an outlet in watercolor: “I can be absorbed for hours at a time,” she says. 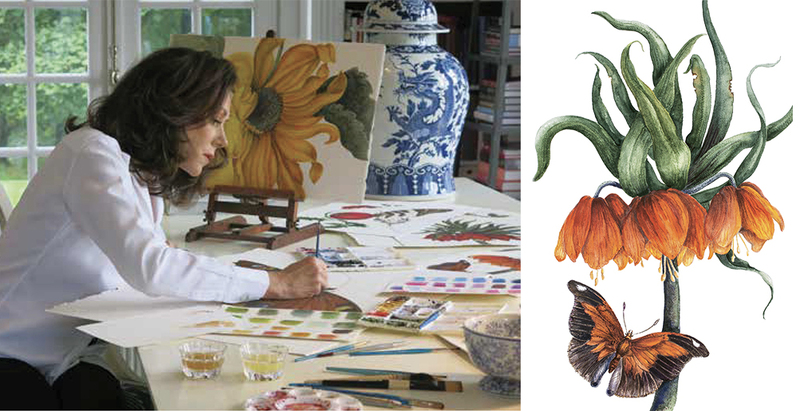 The self-taught painter is inspired by the work of 17th-century painter Maria Sibylla Merian. “I’m a perpetual learner,” says Roehm. The only child of two educators, she is as driven by curiosity as by her irrepressible work ethic. During her painful personal and professional midlife transition, she decided to go to London to study Shakespeare. Then it was on to Paris to indulge her lifelong obsession with flowers and learn the floral arts. Later, after starting to write and publish books and realizing she wanted more control over the photographs, she studied and mastered the craft. 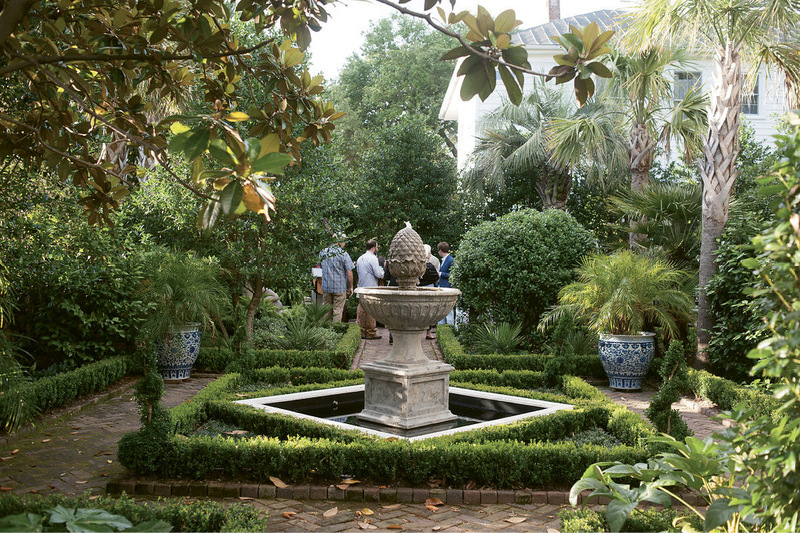 Whether her medium is the drape of a blouse; the jubilant hue and texture of peonies arranged with dahlias; the ambiance of an exquisitely appointed room; or her more recent passion, painting—as the lovely botanical watercolors in her Charleston kitchen attest—Roehm is all-in, always learning, playing, and honoring beauty in its endless forms. “Carolyne needs creativity like oxygen; it powers her every day,” says her friend Susan Hull Walker, founder of Ibu, a King Street boutique and fashion/home goods line featuring global female artisans. 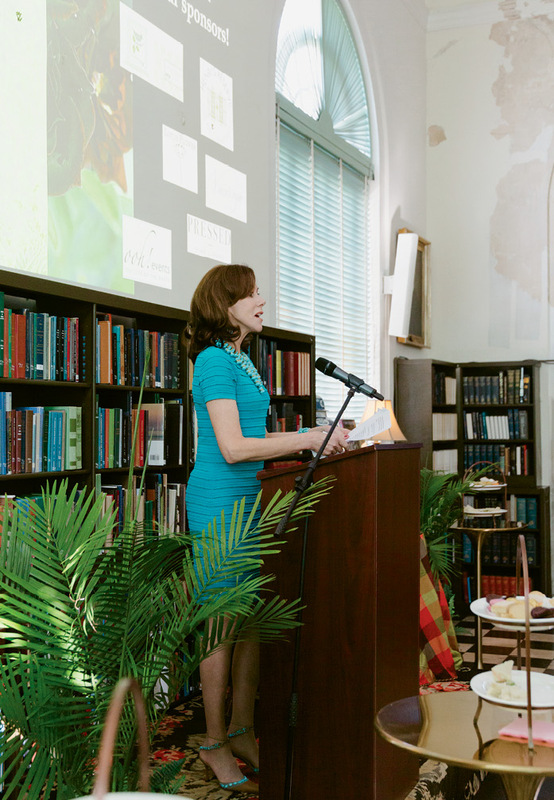 When the Charleston-based Ibu held a pop-up shop last year in New York, Roehm championed her friend and rallied industry and social contacts to support the event, including modeling an Ibu cocktail dress during the show. Roehm will be one of the “Faces of Ibu” in an Ibu Movement launch this month announcing a new foundation to support women artisans (scroll to the end for more info). “Always the height of style and taste, Carolyne admires greatness in all forms and aspires to it herself,” Walker adds. “To many she is like an elevated goddess, and yet her spirit is embracing, kind, occasionally naughty, and utterly of the earth.” Even if her “earth” seems a bit more refined and rarified than the average person’s. 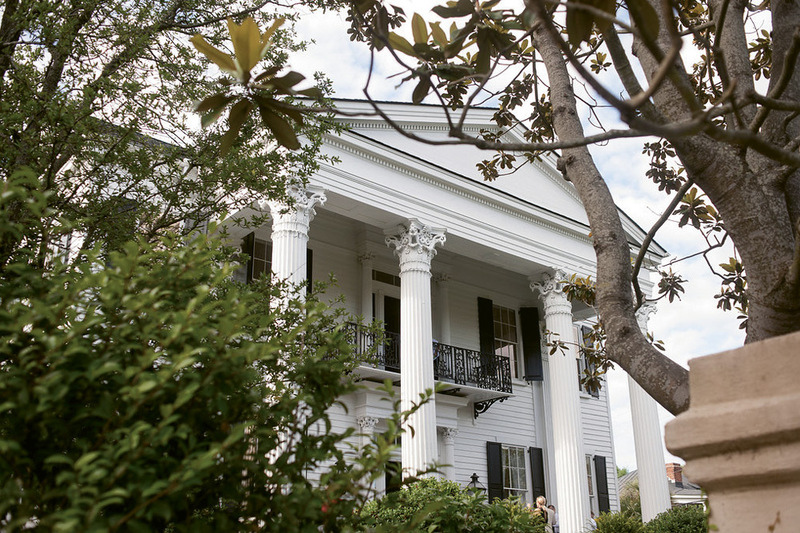 Take for instance the way she welcomes you into her home—the Greek Revival 1836 Chisolm-Alston House that she bought seven years ago and has painstakingly restored (“this house had never seen sandpaper”)—and offers not just a glass of prosecco, but a delicate gold-swirled flute of bubbly. It’s casual chitchat from the get-go, unpretentious and funny, as if we were cut from the same cloth, never mind that she’s cut cloth for the world’s premier designers. Roehm’s excited to show off two new pieces of art for her “Bird Room,” where an immense 17th-century baroque painting of birds and butterflies dominates an entire wall. The new additions are prints of a roseate spoonbill and an egret that she found at her friend Ann Long’s gallery. “I took them to Michael’s to be framed, because, you know…,” says Roehm, who’s also a fan of Party City, where she notes she has just gone “insane buying all this crap” for a girls’ night dinner she’s hosting. “For me that’s the fun of it. Plastic will go just fine with this china, right?” She’s as artful at hosting the loveliest formal dinner party as she is at enlivening it with a bawdy tale or two, her girlfriends attest. 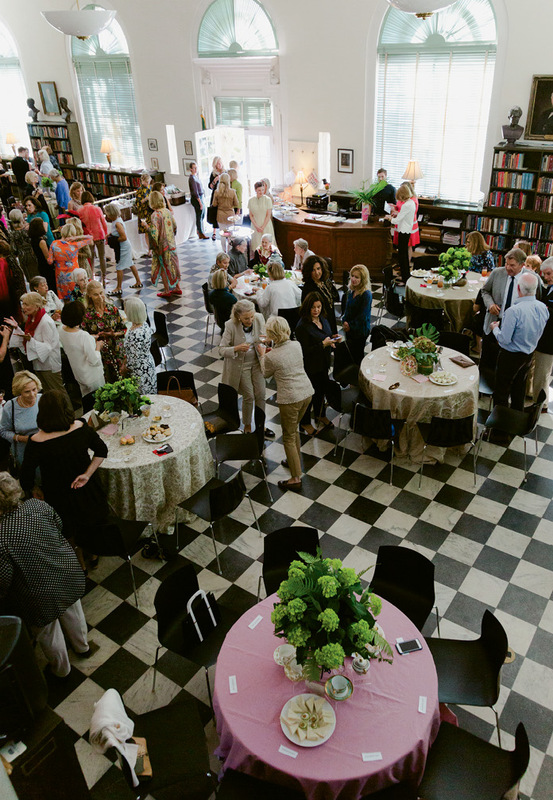 Local Love: Roehm, a former board member of the New York Public Library, celebrated the release of Design & Style with a Charleston Library Society High Tea (left; photograph by Kim Graham) in October 2018. 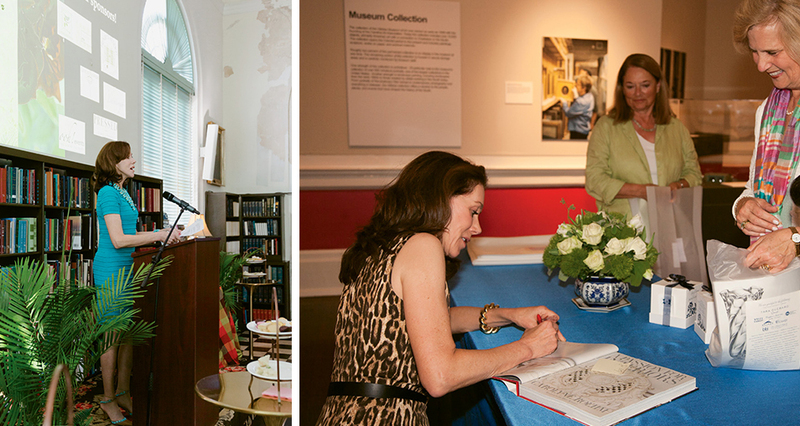 She’s also been featured as the keynote speaker at the 2012 Gibbes Museum of Art’s Art of Design luncheon (right; photograph by Julia Lynn). 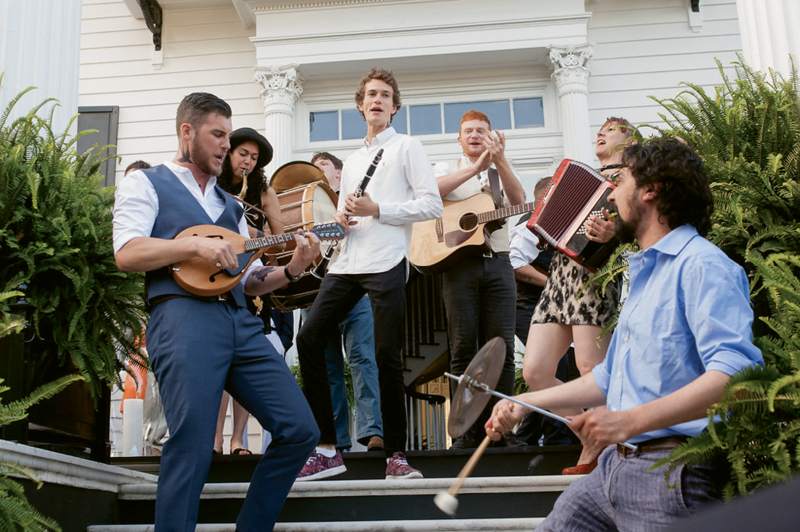 Yet there’s no sense that she’s leaving her Charleston house anytime soon. 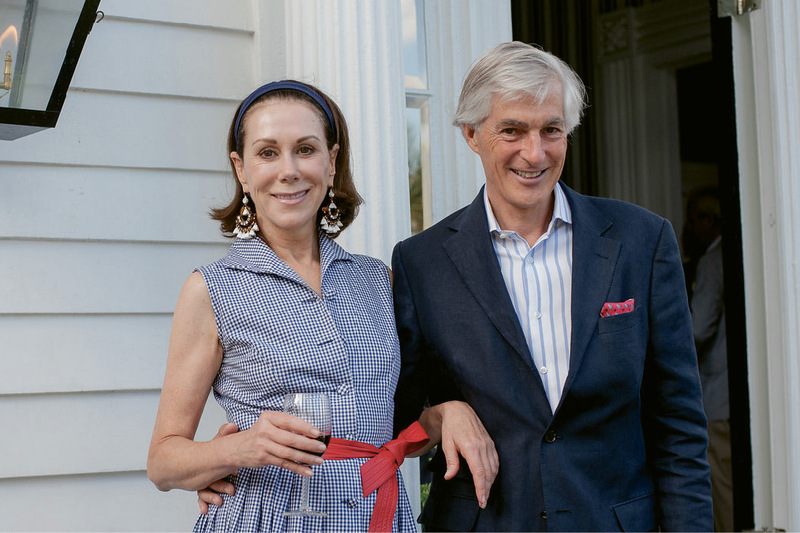 “I love the spirit here, the sense of history and architectural beauty, the ability to walk everywhere,” says Roehm, who splits her time among the Holy City; her Connecticut country home; and the Colorado home of her partner of 17 years, Simon Pinniger. 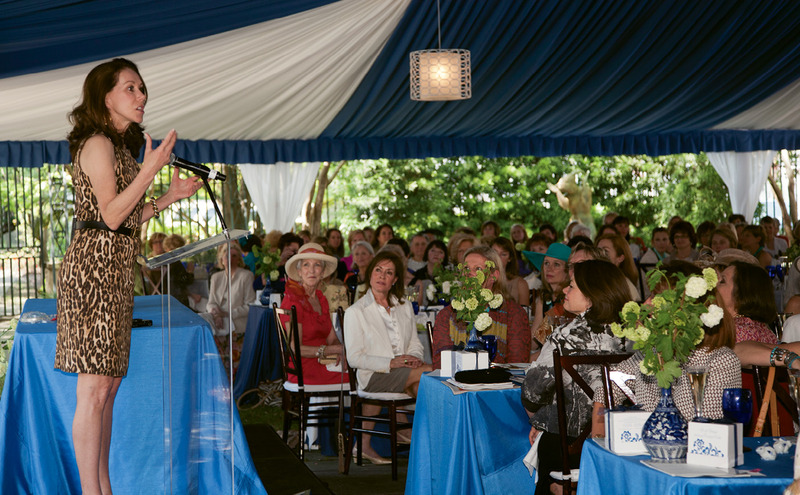 Given her life in design and fashion, Carolyne Roehm knows well that good design can be empowering; creating clothes that made women feel confident was a fashion statement she was proud to make. Today, she is proud to support the Charleston-based Ibu Movement, a store and a line of clothing that works to empower and support global women artisans. 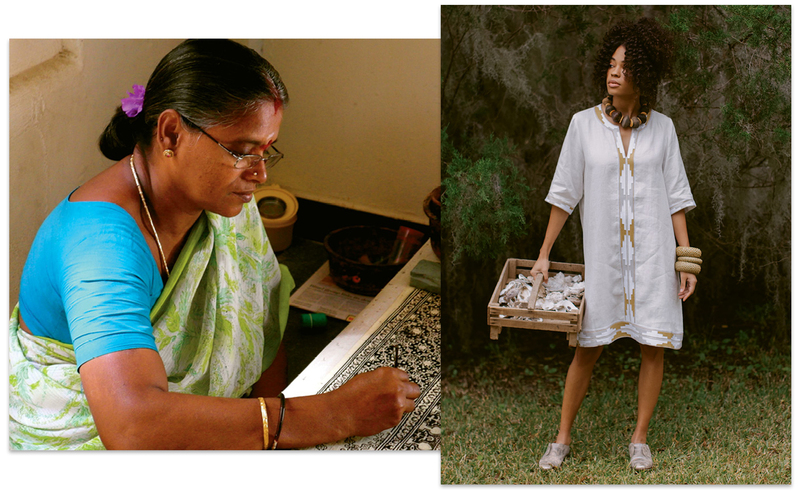 On March 8, in celebration of International Women’s Day, Fashioning Change: Ibu at the Gibbes will debut the company’s first exclusively Ibu-designed ready-to-wear collection, featuring unique designs from 25 different regions around the world. “The collection represents the preservation of generational works of art in a completely new way—a celebration of heritage and skill and women,” says Susan Hull Walker, Ibu Movement founder and artistic director. As part of the event and the accompanying launch of the We Are Ibu Foundation, Roehm will be featured as one of the “Faces of Ibu,” alongside style icon Iris Apfel, interior designer Charlotte Moss, 60 Minutes producer Magalie Laguerre Wilkinson, and mezzo-soprano Alyson Cambridge, among others. This visual and video campaign highlights women of impact and influence who are lending their support to the movement. 7 p.m. Meet the Faces of Ibu and shop the collection. The event is open to the public, but expected to sell out. For tickets, visit ibumovement.com.